Goodreads review: Mirror Sydney | Yeah nah. 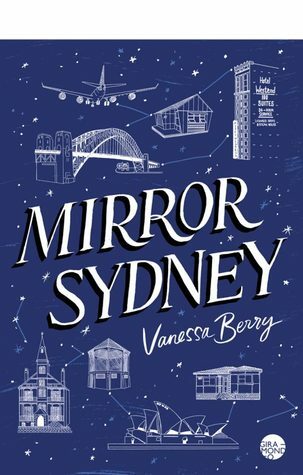 I recently read Vanessa Berry’s Strawberry Hills Forever (reviewed here) while I waited for this work, Mirror Sydney, to be published. This most recent work surpasses the former, and scratches a psychogeographic itch – think Ackroyd or Sinclair – that I hadn’t realised I had. Throughout the work – a collection of meditations on aspects of Sydney in histories distant and near – there’s a palpable feeling of love, even for aesthetic ugliness or bureaucratic shortsightedness. There’s tributes to clocktowers, to the Old Side of Hornsby, to dams and spillways, to forgotten rivers and buried elephants. Reading it is like catching wind of a juicy piece of town-planning gossip dispensed by Nan over some fresh butter bickies: while there’s references aplenty at the book’s conclusion, the insertion of hand-drawn maps, engraved with Letraset and typewriter characters makes it feel as if you’re reading a kind of family secret. Some of the pieces cover ground that’s been surveyed in Berry’s previous work, and some of the pieces have appeared elsewhere before, but I found this collection fit together more solidly than Strawberry Hills Forever. There’s a sense of rigour applied here, though not enough to make the prose like reading sawdust. Knowledge is parcelled out as it’s needed, like trivia in a conversation, and always at hand is a recognition of the traditional owners of the locales Berry profiles. It mightn’t be much, but it means the reader is forced to consider the ramifications of invasion and settlement on Sydney. 40,000 years is a long, long time. I guess the reason the book appeals to me is that so much of my life and experience seems to fit with those of the author. I spent formative years mere streets away in Turramurra (and while at uni worked at the lamentable Turramurra Village Cakes with a stoner baker who lived upstairs), and have spent more recent times living in Hurlstone Park, two locations covered in the book. The gift of reading this thing is the feeling of familiarity it conveys: especially when speaking of things lost. Though I am sure I’ve never met the author, there’s a lot in here I’ve experienced, or seen: the vicissitudes of inner-west rentals, the various haunts of the student (or student-budgeted). There’s a lot of stuff in here that fits in with my own periods of wandering parts of Sydney, and I guess this is the book’s real appeal: it has a dose of history wrapped in the stuff of memory. Berry provides historical framework which then acts as a sort of< i>aide-memoire. A lot of care has gone into the creation of this work, and it’s nice to see a publisher willing to put such effort into something that is, undoubtedly, a labour of love. This is a wonderful book for anyone who’s lived in this grubby old town and loved it anyway. I hope that it’s the first of more: the author’s peregrinations through the back-streets and hidden spaces are intriguing. Reading Mirror Sydney I’m filled with a longing for the past – both that of the city and of myself – and I want to hang out there just a little more.